Printable worksheets on missing numbers from 15 to 25 help the kids to practice counting of the numbers. Number math activities for kids are very important and necessary in early childhood education, preschool, kindergarten, nursery school and also for homeschooled kids. Here the children are asked to look at the grid of numbers and identify the missing numbers and then fill in the missing numbers to count from 15 to 25. In these missing number worksheets some of the numbers are already filled in to help kids to recognize the missing number from 15 to 25 in the box. 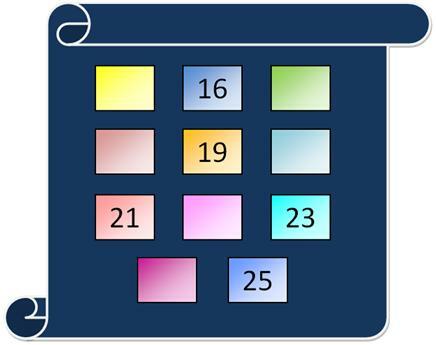 Parents and teachers can help the children to figure out the missing numbers and write in the box in the worksheets on missing numbers from 15 to 25.